A New York Times Bestseller! Order signed copies here. The Drunken Botanist is available now through your local independent bookstore , or order a signed and inscribed copy directly from Amy's bookstore by clicking here. Download press kit materials for The Drunken Botanist here. Grow your own cocktail garden with Territorial's line of mixologist-friendly plants. 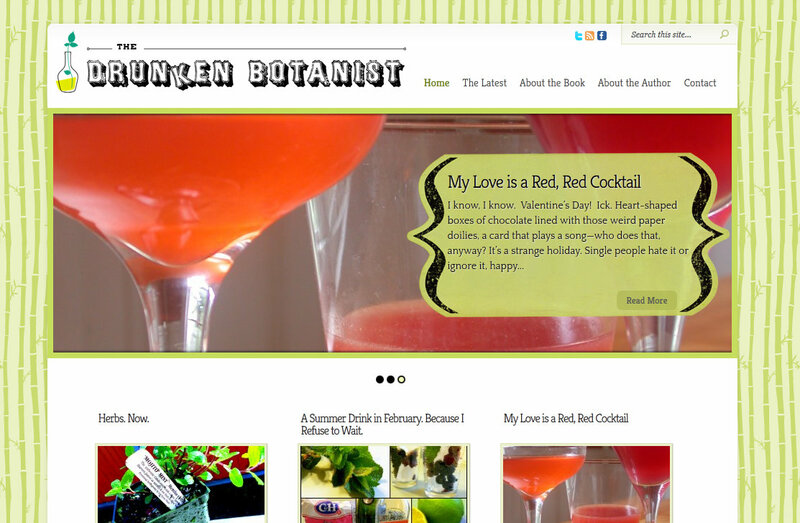 Visit DrunkenBotanist.com for recipes, growing tips, and more! Read all about it! An in-depth bibliography of books on botany and booze is available here. "Cocktails become one with nature in this upcoming release from Amy Stewart. Expect flora- and fauna-rich formulas, botanical brews, and growing tips." "Ms. Stewart is a fine writer—clear, concise and particularly good when she ventures into some of the more technical aspects of liquor production... Sipping an evening cocktail while flipping through this fine volume, I discovered that Ms. Stewart knew how to change a run-of-the-mill cocktail into an intriguing one." "A curiously boozy book . . . This wide-ranging mix of alcohol and plant trivia, drink recipes, and scientific research deserves a place on every home bar bookshelf for its conversational value alone. A compact, enlightening, and entertaining exploration of the relationship between plants and booze. There are enough 'did you know?' moments in this book to fill a lifetime of conversational pauses." "Stewart writes in an engaging, conversational tone that will attract even the casual reader. She has a remarkable ability to translate the historical, scholarly and botanical into a read as delightful as a pre-dinner Negroni . . . The Drunken Botanist is as engrossing as it is timely." "Fascinating, well researched and instructive — with appealing recipes too." "Jaunty yet meticulously-researched...This personable volume offers history, anecdotes, advice and cocktail recipes, all revolving around plants used either to make booze or to flavor your favorite tipple." "Many boozy books have been published over the years, spilling over with fun facts about absinthe, grog and bathtub gin. What makes Stewart's book different is her infectious enthusiasm for the plants, their uses, their history, and the botanists who roamed the earth finding them. The result is intoxicating but in a fresh, happy, healthy way." 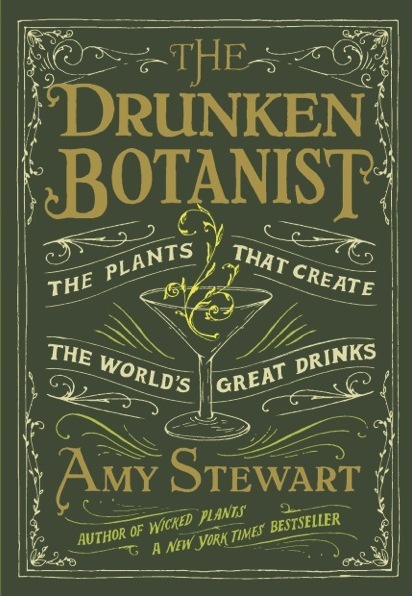 "For a more spirited take on plants, try Amy Stewart's The Drunken Botanist. Part horticulture, part history, part bartending guide, it transforms any liquor store into 'a fantastical greenhouse.' "
"Gardening can be an intoxicating hobby, especially if the botany is booze-related." "A book that makes familiar drinks seem new again. Stewart describes beer by way of the challenges of wheat fermentation, and her discussion of gin starts with how to pick juniper berries. Through this horticultural lens, a mixed drink becomes a cornucopia of plants." "Stewart deftly educates the reader on the alchemy behind some of our most beloved spirits." "Amy Stewart is a national treasure. She writes the kind of books that your inner 10-year old loves to read. Whether it’s detailing the stories of deadly nightshade, fatal fungus, or toxic blue-green algae in her book Wicked Plants or exploring the world of creepy crawly oriental rat fleas, the Brazilian wandering spider, the Formosan subterranean termite, and other Wicked Bugs, she’s always there with a nasty tidbit or a chilling aside. Now, in her newest books, she does us all one better and taps into our inner 21-year old with her botanical encyclopedia of alcoholic flora, The Drunken Botanist." "Amy Stewart has a way of making gardening seem exciting, even a little dangerous... Ms. Stewart is once again out to show the sexier side of the garden, this time linking plants to alcoholic spirits....Plants aren’t limited to the realm of garden clubs and botanists, the author reminds us; they can get out and party on a Saturday night." "The Drunken Botanist is a sipping book, not a quaffing book, best enjoyed in moderation...Part Ripley’s Believe It or Not, part compendium on the order of 'Schott’s Original Miscellany' and part botanical garden tour, albeit with a curated cocktail party at the end.... a companionable reference and whimsical recitation of historical-botanical trivia, with a little tart debunking." "An original concept executed well...Stewart cheerfully connects the dots between cocktail ingredients and their botanical bases in a light that makes us consider, as she does, the liquor store as a kind of high-proof greenhouse." "A romp through the garden and fields to explore the herbs, flowers and trees that our ancestors have turned into booze. Some of that flora, we're told, is downright dangerous and a few are distinctly weird. The rest? Cheers!" "From the agave that makes our tequila to the lime we use to garnish said tequila, Stewart’s beautifully styled and written book provides history, facts, and (perhaps most importantly) recipes for all things potent and potable... The only thing that might be more fun than reading the book would be sharing one of its tasty cocktails with the author." "A very engaging book about the botanical origins of our favorite drinks: beer, wine, spirits, and even a mixer or two...if you're curious about the plants you're drinking with each toast, I recommend The Drunken Botanist, an delightfully informative and entertaining book about the basic ingredients of beverage alcohol." Drunken Botanist-themed plant and seed collection sold nationwide through Territorial Seed Company and in select West Coast garden centers through Log House Plants. Get more cocktail recipes and other extras at DrunkenBotanist.com. Read audience reviews from people who have heard Amy speak at GreatGardenSpeakers. 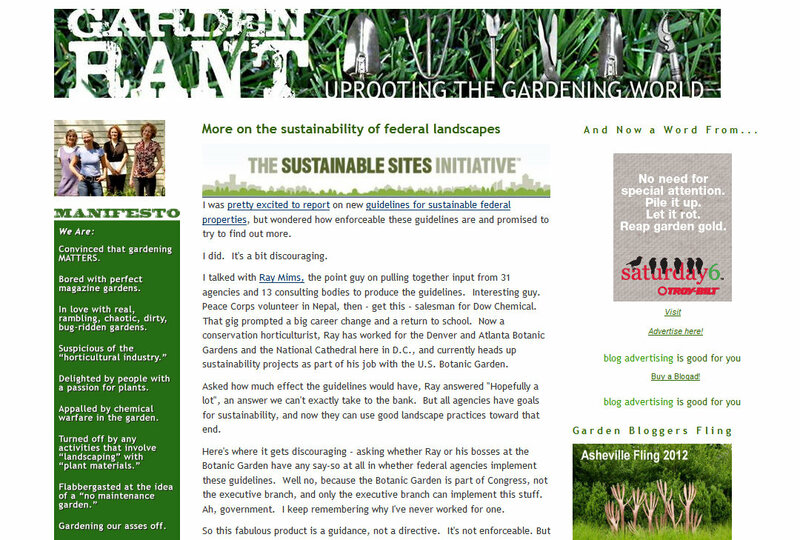 Amy is the co-founder of the popular and highly opinionated blog GardenRant.